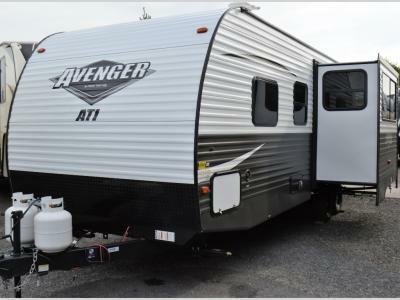 The search is over because this Avenger ATI travel trailer by Prime Time RV is exactly what you've been looking for! 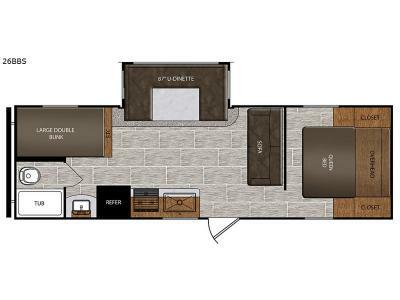 From the sofa and U-shaped dinette to the queen-size bed and double-size bunks, your sleeping accommodations are taken care of. 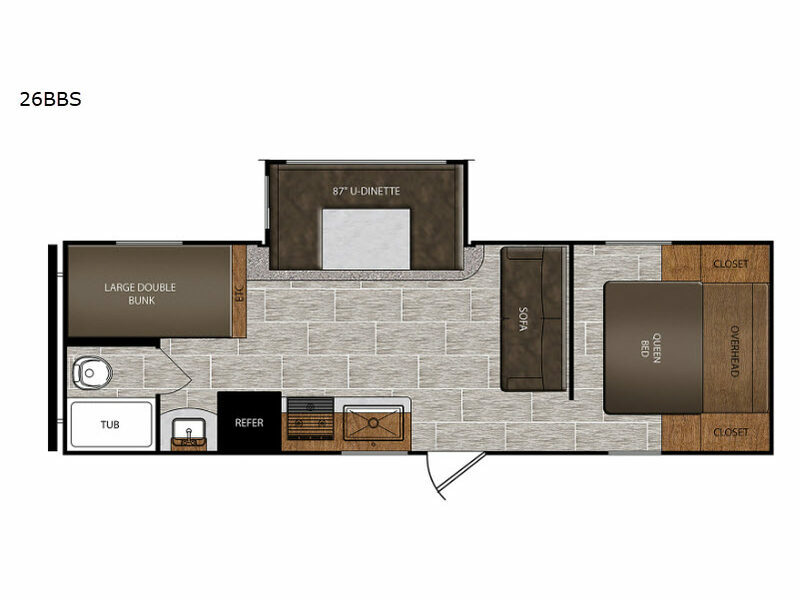 You will also find all the kitchen amenities needed to make snacks and meals while away enjoying the great outdoors, like a three-burner range top and large 17" oven, and you will also appreciate the addition of the outdoor speakers that will allow you to listen to your favorite music as you gather around the campfire for s'mores each night.